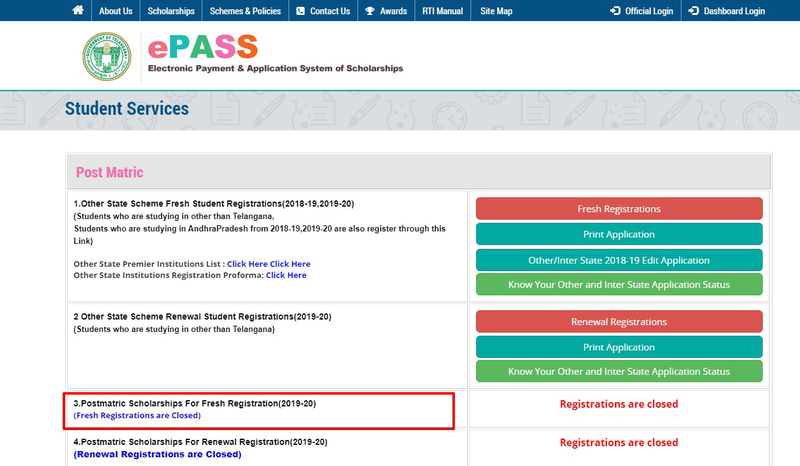 Telangana Epass Application Registration (Fresh & Renewal) Last Date for the academic year 2018-19 has been extended to 28th Feb 2019. Therefore, It is good news for the Students who are waiting for the TS Scholarship Registrations. 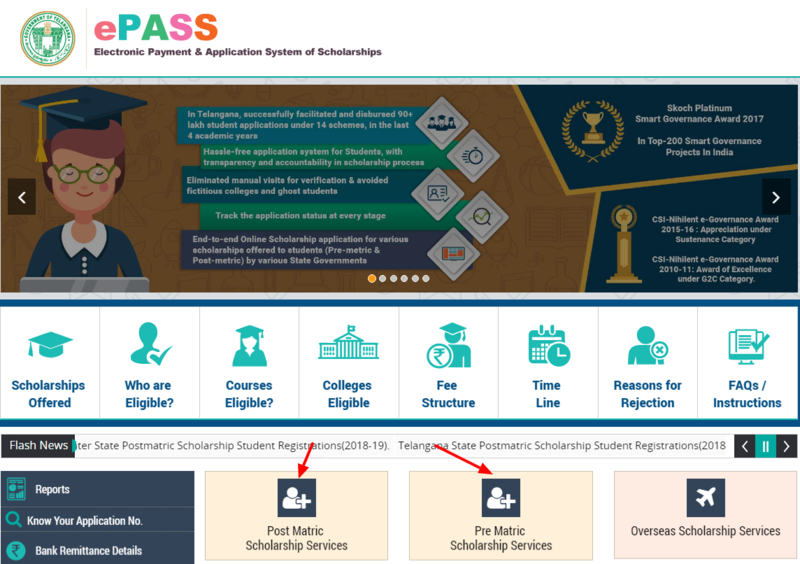 The candidates who have applied for Telangana State E-Pass Scholarship can check the TS ePASS 2019 Procedure on our website. The Telangana Government is providing scholarships to support students education. Many candidates who are pursuing their Graduation/ Post Graduation have already applied for the Telangana E-Pass Scholarship. TS epass application is an online process. 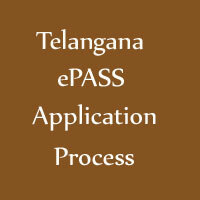 The students can check Telangana ePASS Application Process here on our site. Therefore, the graduates who want to know the process of TS E-Pass Application may find here. The candidates may also visit the Official Website for more details. 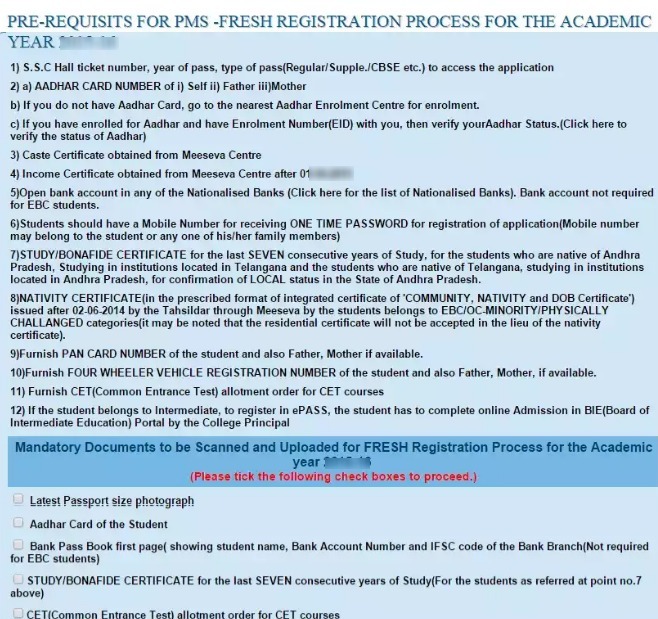 TS Epass Postmatric Scholarship Registration Last Date Extended to 28th February 2019. Telangana Government is rendering financial assistance to students who have low economic status. The candidates belonging to SC/ ST/ BC categories with less annual income can avail this chance. The students who are pursuing the undergraduate courses or PG courses in Telangana are eligible to get the scholarship from Telangana State Govt. The eligible students can apply for e-pass through online. This is a good chance for the financially backward Students. The merit students will be benefited. Therefore, Check the Stepwise Procedure for filling the Telangana Fee Reimbursement. The ePASS Telangana Application Process is provided along with stepwise pictures. Therefore, Check the process and Apply before the Last date. The ePASS Telangana Application Process is simple and less time consuming if the candidates follow the simple steps. Therefore, for the easy understanding of the new applicants, we have provided the complete online application Procedure along with pictures. First of all, Visit the Official Website of the Telangana ePASS. The Home page of the official site appears on the screen. On the homepage, you have to click on the “Post Matric Scholarship Services” or “Pre Matric Scholarship Services” button which suitable for you. A new page will be opened showing a list of Student Services. Click on the ‘CLICK HERE’ option given against ‘Postmatric Scholarships For 2018-19′. The candidate will be directed to a new page showing the Application Form. Enter the Complete details as per your history. Enter the hall ticket number, Date of Birth, and SSC Pass Year correctly. Finally, the candidate will be directed to a New Application Registration Form. Later, Press on the check boxes as shown below, and then the Apply Now will Activate. Therefore, Read the Instructions Carefully and put tick marks on the boxes and then press the Apply Now Button. Click on ‘Apply Now’ Button as shown in the picture above. It will redirect to the Next Page. Click on your Option that perfectly suits the applicant and later Enter your SSC Hall Ticket No, SSC Pass Year, Date of Birth in Date-Month-Year format. After Entering the Above data, it will retrieve the date and give a chance for the Next Steps. Later, it will direct to the Telangana Epass Application Page. Enter the details correctly and click on the submit Button. Therefore, fill the complete details correctly without any human errors. There is a chance of rejection of the Telangana ePASS Application Process if the details are wrongly entered. Hence, along with the application process, you can also check the reasons for denial and don’t make those mistakes. First of all, you have to click on the Pre Matric Scholarship Registration tab which available on the homepage. Now, the Student Services page will open on the screen with options. 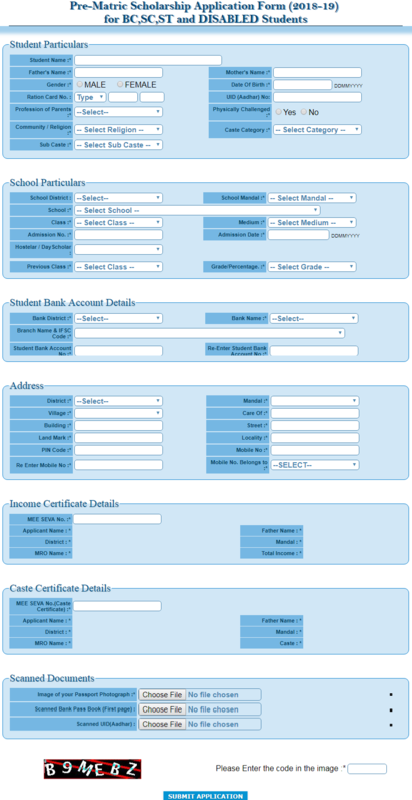 After that enter your personal details such as school particulars, caste certificate details, address, etc. Non-submission of hard copy of the ePASS application. Discontinued/ Detained students in case of renewals.